Looks a little like my ZCA. Got a schematic? The guy that came up with that idea was pretty darn smart. Will get #2 up and running an solve the housing problem. The problem is when you have the amp parts AND off-the-shelf heatsink. ; it's hard to find a chassis that suits your needs. But I have decided to try to adopt the tube-like way of mounting stuff. A friend of mine who teached tech-stuff at a high school had his students to build a one-transistor amp. Guess he used a darlington like BDX33 or 34. Many students meant that their simple stuff sounded much better than their parents 5.1 home theatre systems from Bose. Got an odd question in a Swedish forum - What's the purpose of the resistor ....??? How the heck would I know. Here are some more shots of the little green board, transformer and heatsink. The heatsink isn't the biggest in the world but has large fins and should be able to keep the transistor pretty cool. 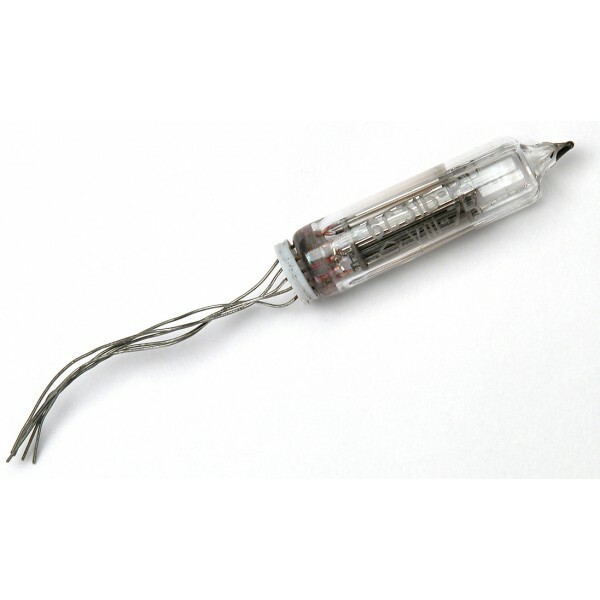 The 6S31B is a subminiature tube that will fit in any case. Ordered a pair of them from Russia. have to come with an idea of fixing 110V. I came up with the MCA which is a Darlington pair - JFET and 2N3055. It sounded better than the ZCA. Do you have an image of the tube?